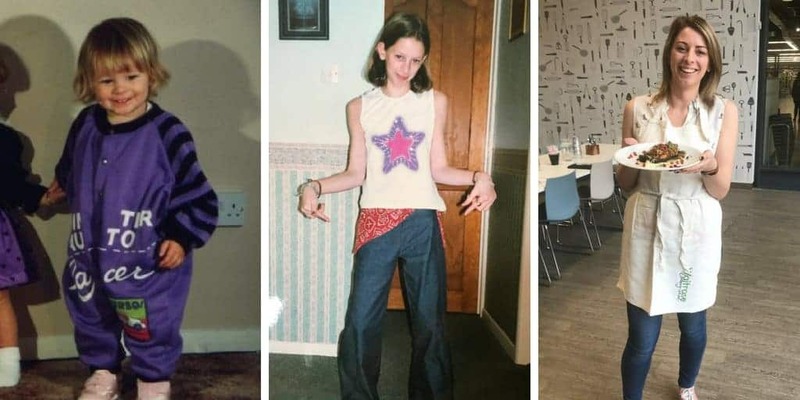 Does anyone else remember having jam roly-poly with their school dinner? I can still remember the taste of it from primary school, though I’ve never had a gluten free jam roly-poly before. So when I tried this recipe out, I couldn’t believe how much I remembered the taste! 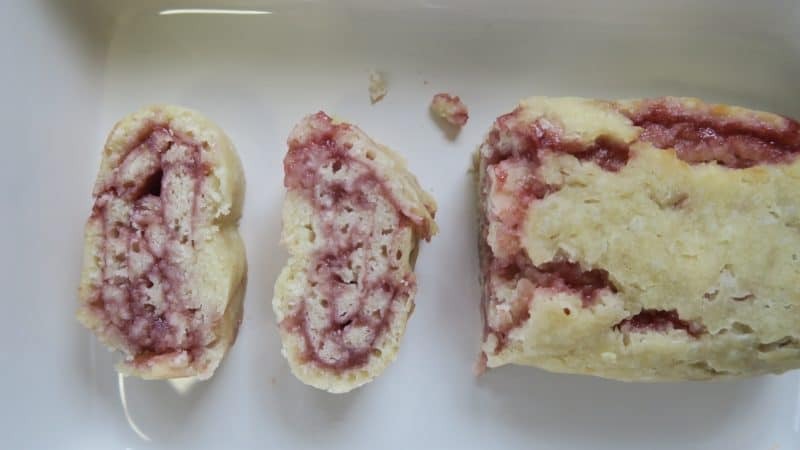 When I asked members of The Gluten Free Blogger Group on Facebook which dessert they missed the most, a jam roly-poly pudding was one of the most popular answers. I knew had to give it a go! Surprisingly, it was a lot easier than I thought it would be. I struggled to find any gluten free jam roly-poly recipes out there, which made me begin to wonder what on earth I had let myself in for. The ‘normal’ recipes I found talked of creating a rollable dough. This is something which doesn’t usually happen with gluten free flour! Once I played around the with quantities, this dough was actually pretty easy to handle. 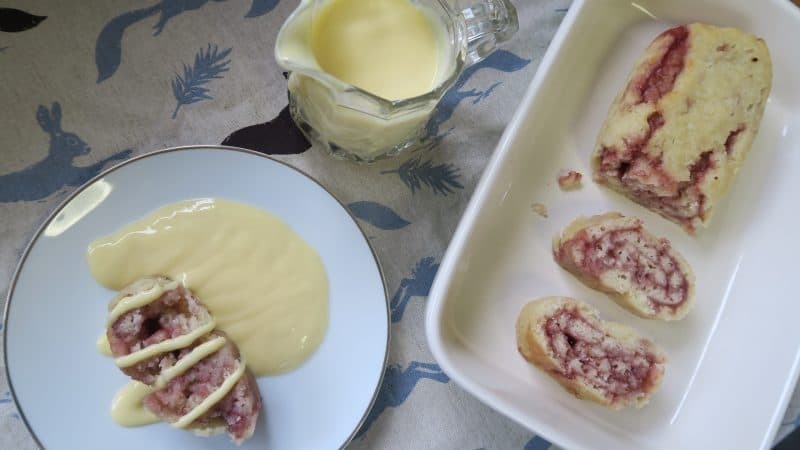 The first challenge in making this gluten free jam roly-poly pudding was find some gluten free suet. The usual stuff in the supermarkets normally contains wheat flour. 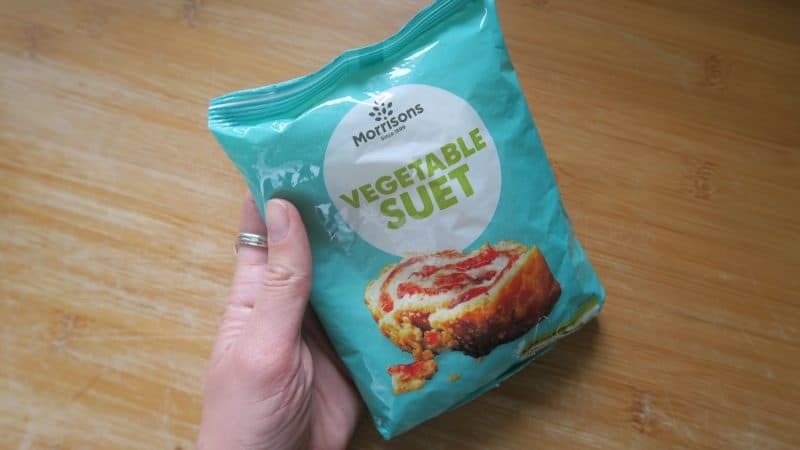 But luckily I remembered seeing on Facebook before the Morrison’s suet is gluten free! You can find it in their baking aisle, and it’s made with rice flour so there’s no gluten in it. Perfect. This recipe only uses about half a bag of this gluten free suet, so you could either make two (recommended!) or save it for making something else! I think I’m going to be testing out some gluten free dumplings next. I found myself sceptical the whole way through making this jam roly-poly. I wanted to badly for it to be good, and knew I would be bitterly disappointed if it wasn’t. But my God, it was good! You know when you bite into something for the first time in years and it take you right back? When you think ‘OH MY GOD THIS IS WHAT IT TASTES LIKE, I REMEMBER NOW!’? 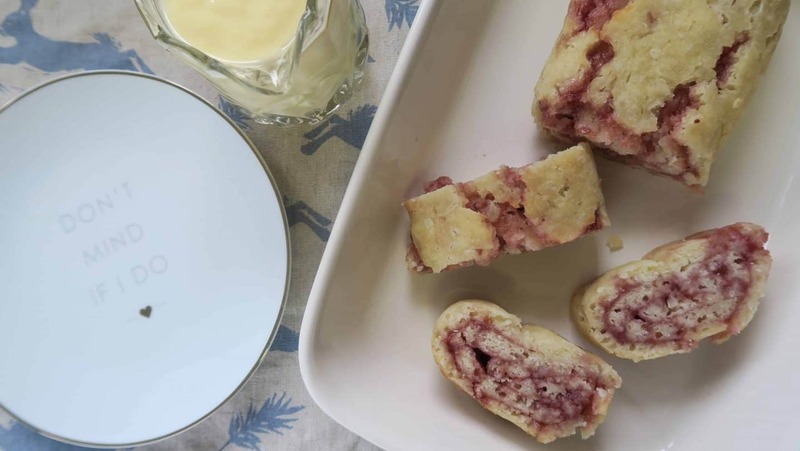 Stodgy, sweet and sticky, this gluten free jam roly-poly is pure nostalgia. I served it up with hot custard and it took me right back to sitting in the school dinner hall. Before I was diagnosed with coeliac disease I loved this gluten free pudding, and it’s so lovely to be able to try it again. Now I’ll have to think up some other gluten free school dinner pudding classics. If you have any suggestions, I’d love for you to let me know! 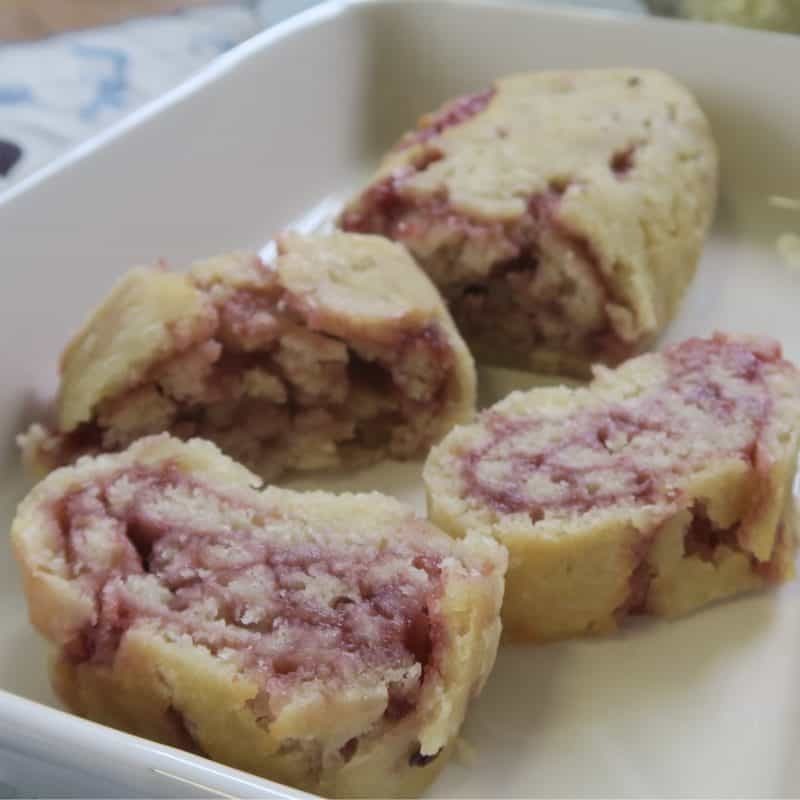 This gluten free jam roly-poly recipe will take you back to school dinner days! A nostalgic dessert made with gluten free suet and baked in the oven. Serve with custard. First pre-heat the oven to 200'C / Gas 6. 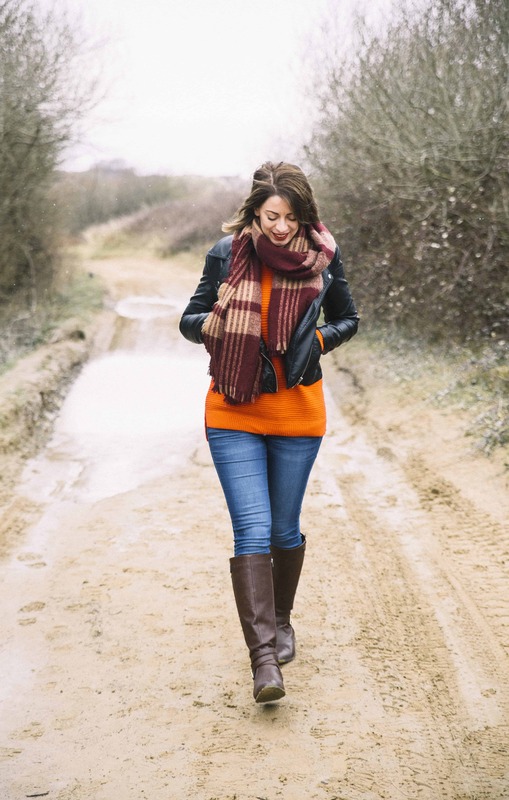 Boil the kettle and then fill a deep roasting tin with the water. Place in the bottom of the oven and then place a wire rack above it. Cut a sheet of baking paper approx 30cm long. Grease one side with the extra butter and then make a pleat down the middle (to allow the roly-poly to expand as it bakes). Cut a sheet of foil around the same size and set aside. Add the flour, xantham gum and salt to a large mixing bowl and mix well. Using your fingers, rub the butter in to the flour. Add the sugar and suet and mix well. Add the milk and, using a spoon, mix well to create a dough. It will probably be a little sticky, but if it is too sticky add a little extra flour, a tsp at a time. For the easiest way to roll the dough, rip off an extra sheet of baking paper and dust with flour. Turn the dough out onto the floured surface, dust a little extra flour on top, and then roll out using a rolling pin to make a rectangle approx 30 x 22cm in size. Spread the jam evenly on top of the dough, leaving approximately 1.5cm border. Brush the border with milk and then roll the dough from the short end (like a Swiss roll). Pinch the edges together to seal the jam. Carefully place the roly-poly onto the greased side of the baking sheet and wrap, twisting the ends. Then roll this in the foil - not too tightly, as you want to leave the roly-poly some space to expand while baking. Place the foil-wrapped dough onto the wire rack above the water-filled tray. Bake for around 50 minutes. Remove from the oven, slice, and serve hot with custard.